Téra - Niamey, a good tarmac road led us to Fairé, for us to await the ferry across the Niger before progressing to Niamey. 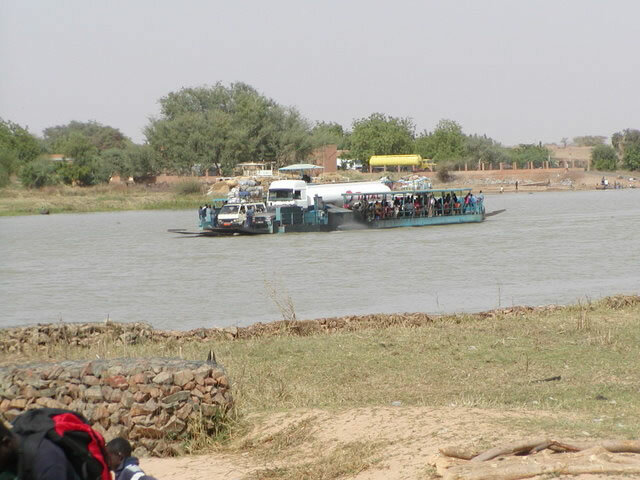 The ferry is a lifeline between Niamey and Téra and carried petrol tankers, donkeys and all and sundry. We enjoyed some deep-fried sweet potatoes whilst we waited for our turn and were delighted to find that we were not hassled at all by beggars and hawkers as was our previous experience of this type of ferry in Mali at Djenne. We discovered Les Roniers (a type of Palm) Hotel, a few kilometres west of Niamey,which turned out to be a gem; a tranquil French owned hotel with a very French restaurant and menu - c' était magnifique! We were forced to stay 3 nights, even though we acquired our Visas for our next destination (Nigeria) within 2 hours, at an exhorbitant cost of 80US$ each. Staying at the Ronier was tough, filet au poivre, vin rouge et blanc, salad nicoise, sorbets, crème brulée...ooh la la ! The Ronier was also a good bird-watching spot; Yellow Bill, Hoopoe, Egrets etc. We made good use of the Internet facilities at the Grand Hotel in the centre of the city and were able to catch up with friends, family, Wales (Rugby . . .sad!) and Manchester United .. even sadder. After a very welcome and restorative break at Niamey - time to move on from Niger (via Maradi) to Nigeria, (via Katsina) - longer route but much better roads than alternative shorter routes. The road proved to be pretty good with a few pot holed kilometres in between good tarred sections. 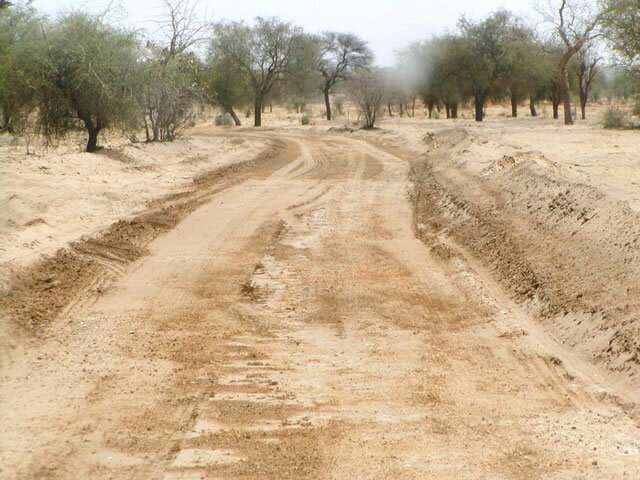 Thought we were lost once and on our way up to Agadez further north when the road disappeared into the sand. However,it appears that going to Agadez would have been out of the question as it is 'out of bounds' due to active Tuareg rebellions. So big sigh of relief when we realised we were OK and on the right route.. Long journey, so good overnight stop at 'Le Motel' in Birni N'Konni followed by early (ish) start for Maradi. Very long, hot, windy and dusty journey for 250+ kms; comprising semi-desert, sand, camels, cattle, sheep, sparse vegetation and remote/desolate villages. 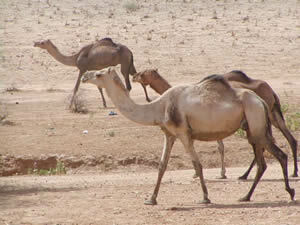 Very tough life for the locals and nomadic hersdmen. 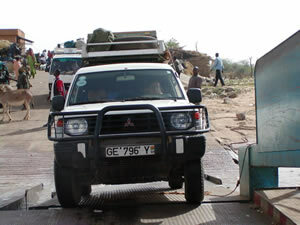 Quick and effecient exit from Niger. 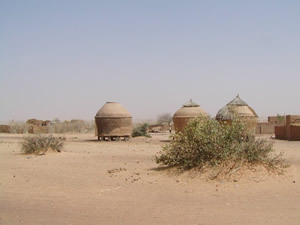 to Téra (Niger) - very tricky!